I thought I'd share this. Mainly because I'm a thrifty guy and didn't want to fork out $40-$50 or more for pilot gloves. 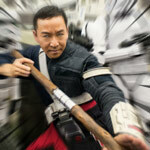 These gloves of course can be used for Rebel Pilots, Tie pilots and other Imperial characters. 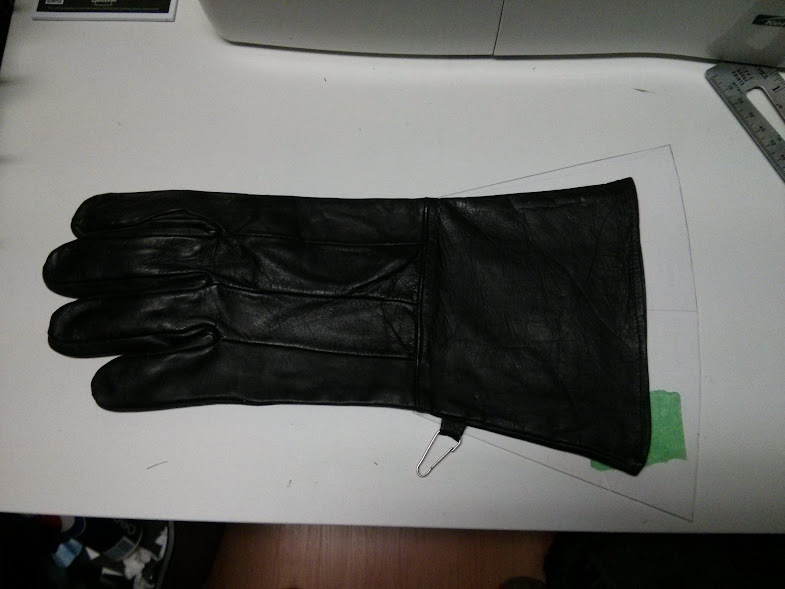 I bought these cheap gloves off Ebay for $14. 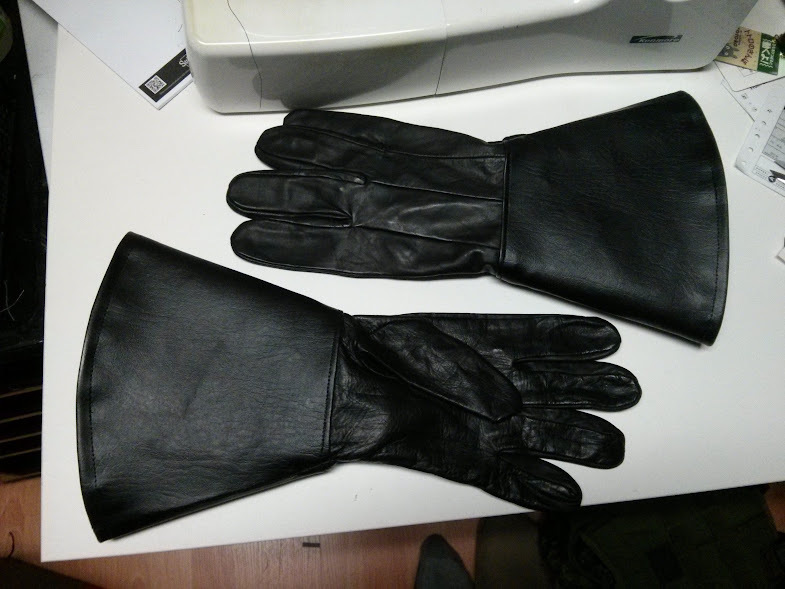 They are plain unlined deerskin leather gloves. 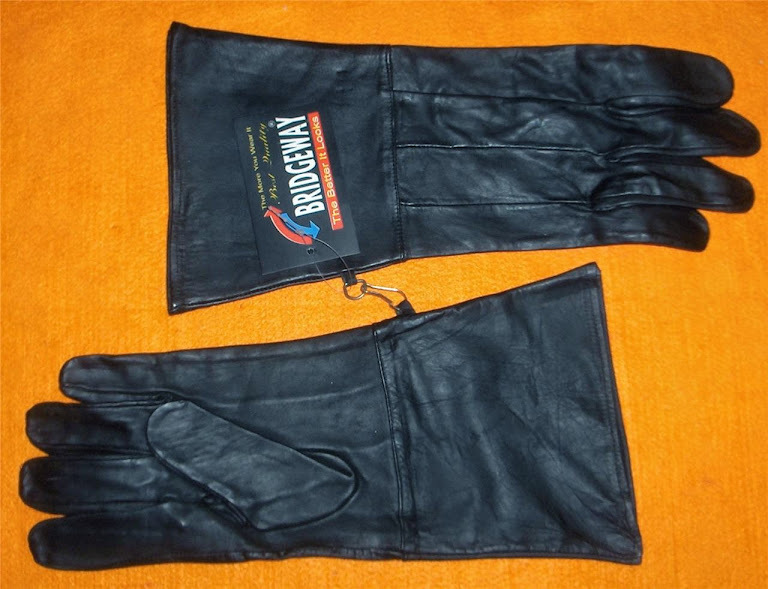 The seller calls them "Cuffed Black Naked Leather Motorcycle Riding Gloves Light weight Gauntlet", they are made by Bridgeway. 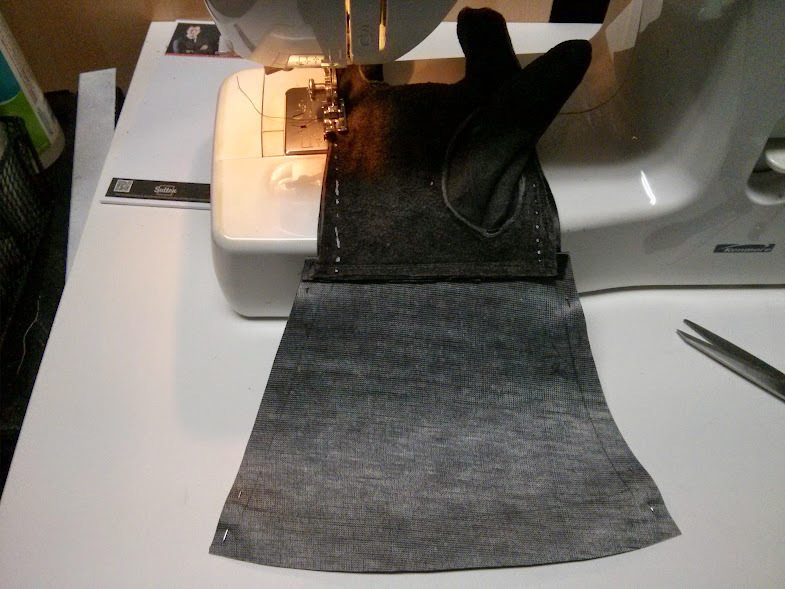 The best part is that the glove has the screen accurate stitching seen on the back of the hand. As you can see, they are pretty good but the gauntlet is a bit short and not flared enough. I made a template from paper where I made the gauntlet 5.5" long, you can make it up to 6" if you're a bigger pilot. Note the top of the template is less flared than the bottom. 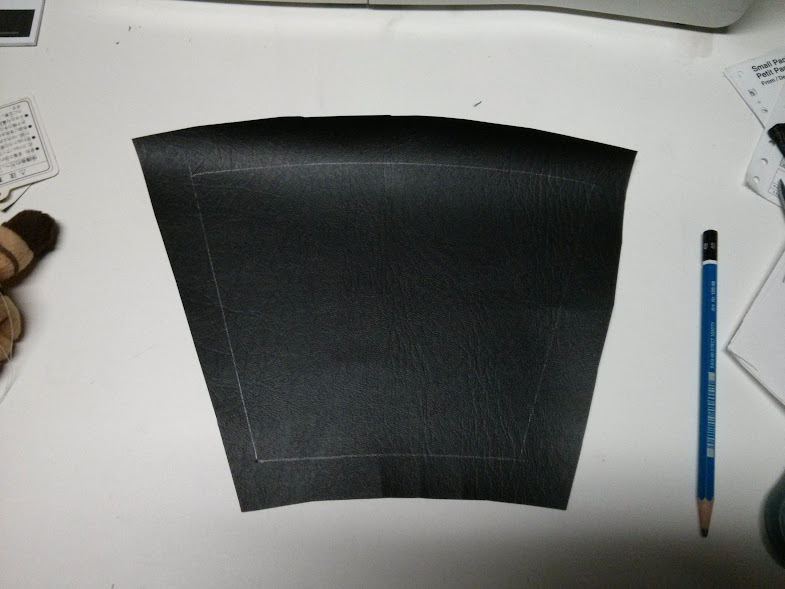 The template should be curved at the top and bottom of the cuff, make sure to label the orientation as the edge near the thumb has less "flare" as described above. 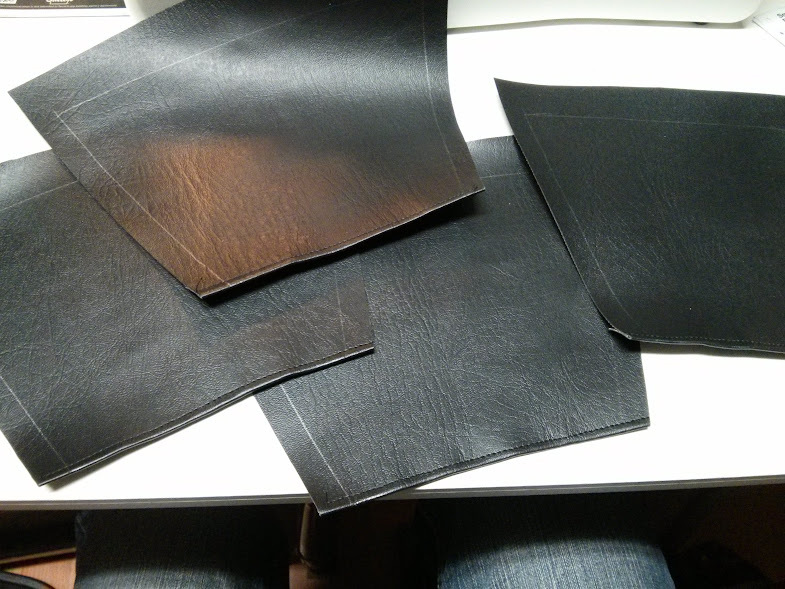 I got some black vinyl, I had some left over but it only costs a few dollars. Get some with a slight texture to it, as that seems to match the screen used one. Avoid the puffy padded vinyl. 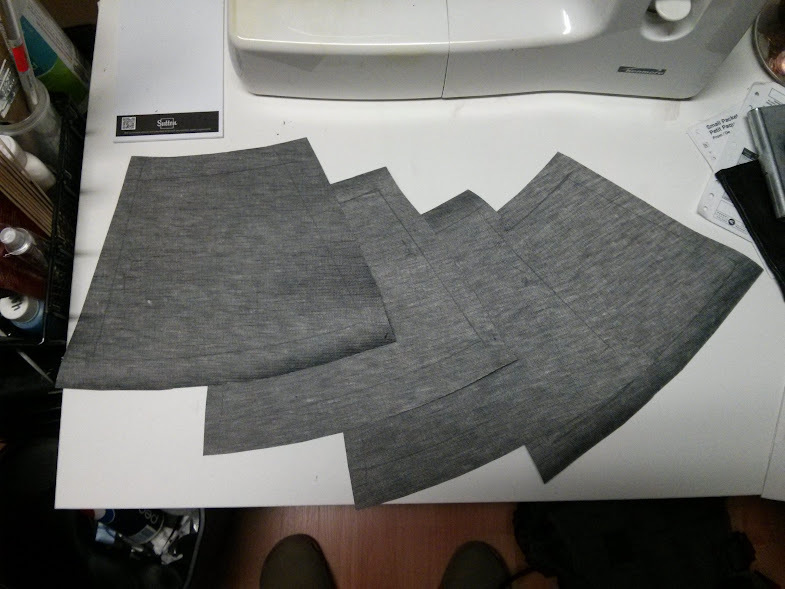 Transfer the template to the front and back of the vinyl (use a pin to punch a small hole in each corner) using pencil, then cut the shapes out leaving an inch of seam allowance. Hem the bottom edge of each piece. Cut the old gauntlet off, leaving an inch behind the wrist seam. 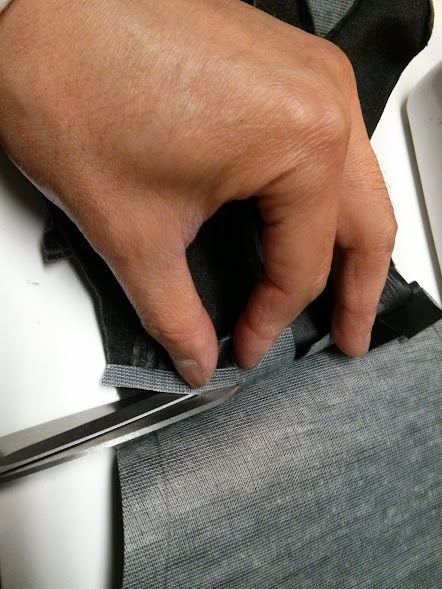 Take apart the edges at the top and bottom of the glove. 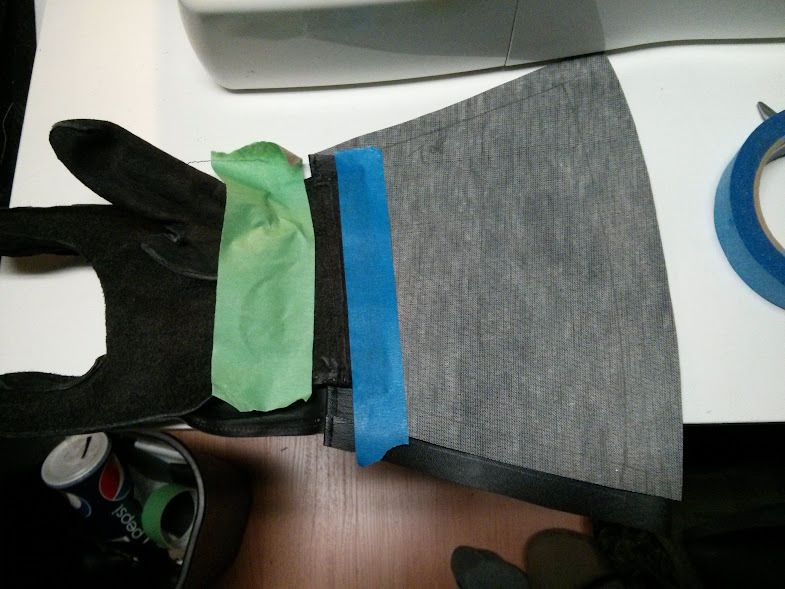 You will then need to flip the glove inside out. 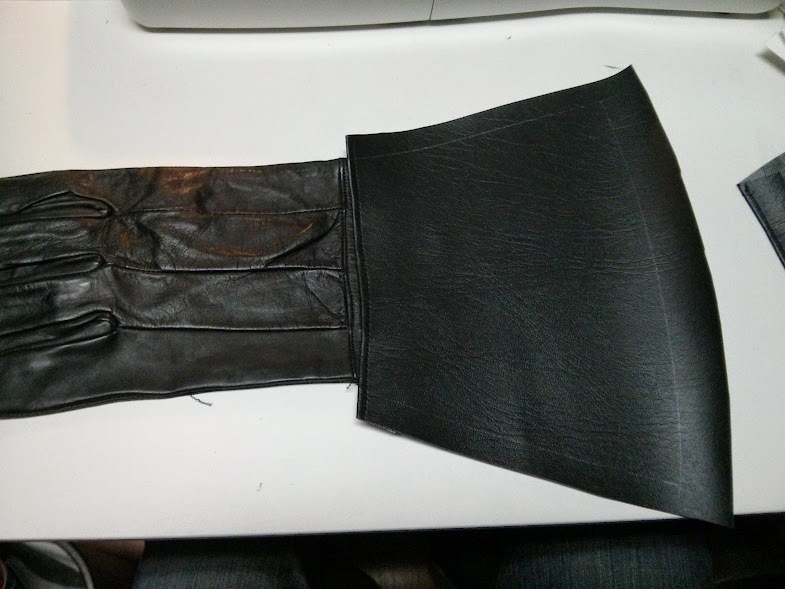 Sew the new gauntlet on the inside and outside of each glove half. 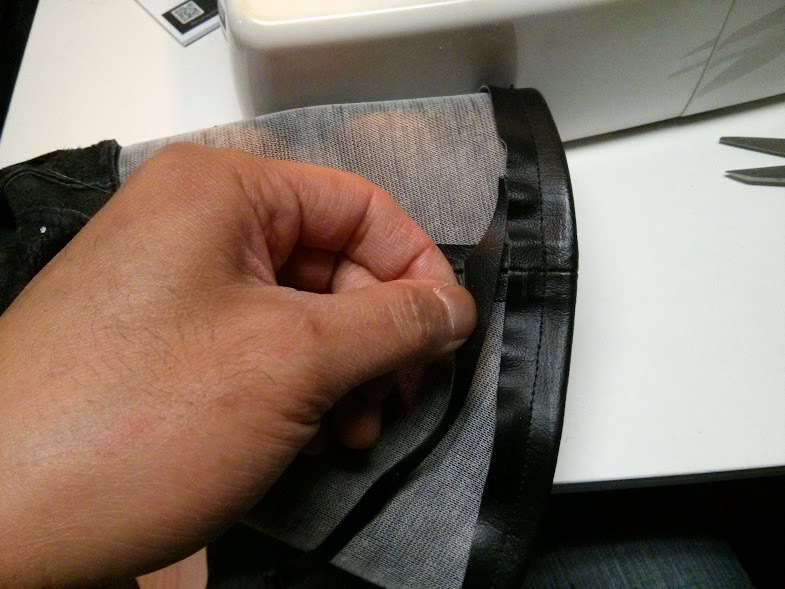 I just show the seam here, I moved it 1/2" towards the fingers for the proper position. Pin if required or use tape to hold the gauntlet in place. 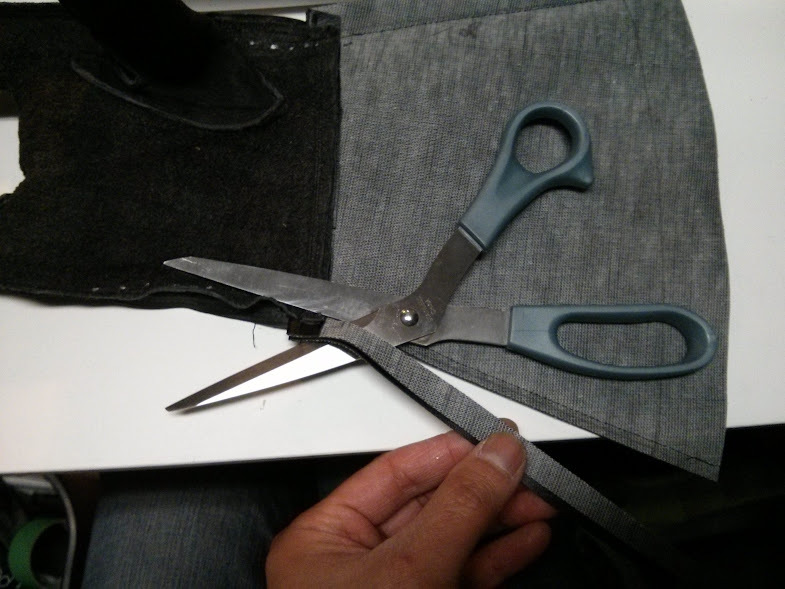 After you have sewn the gauntlet, trim the excess - leave about 1/4". 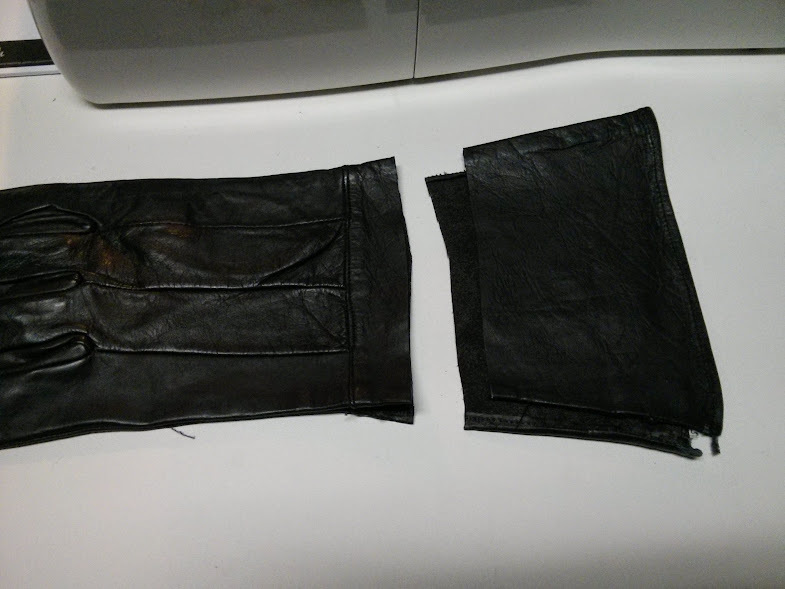 With the gauntlets sewn on each half of the glove, you can now stitch it back together. 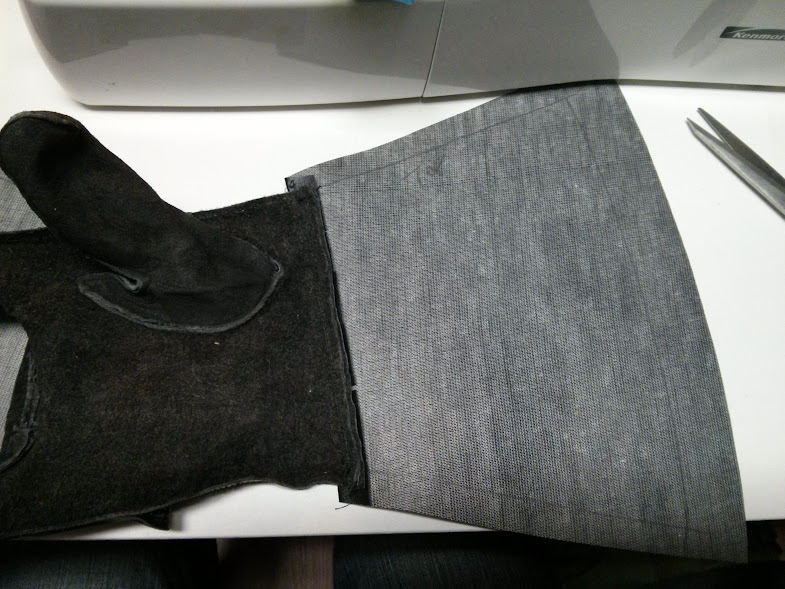 If need be, you can "take in" the top and bottom of the glove for a better fit *see silver marker guidelines. 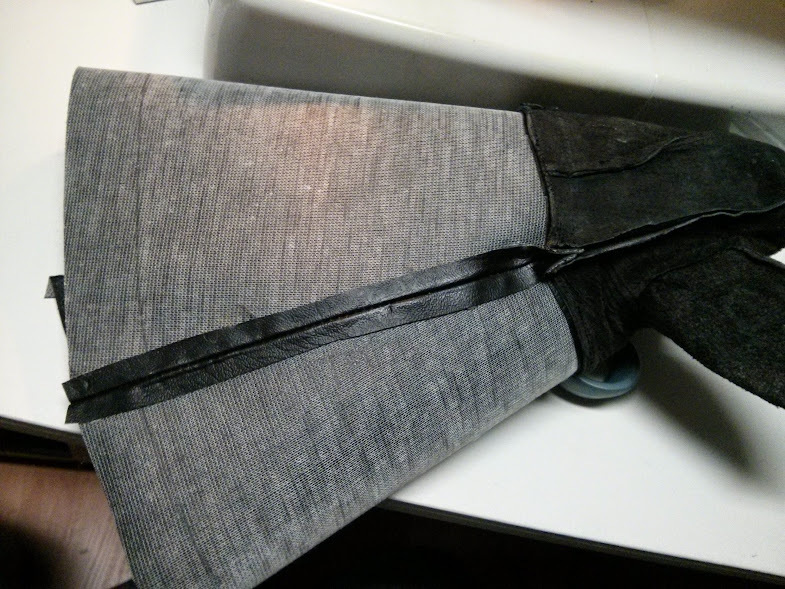 Trim the excess, leave 1/2" *IMPORTANT for next step. 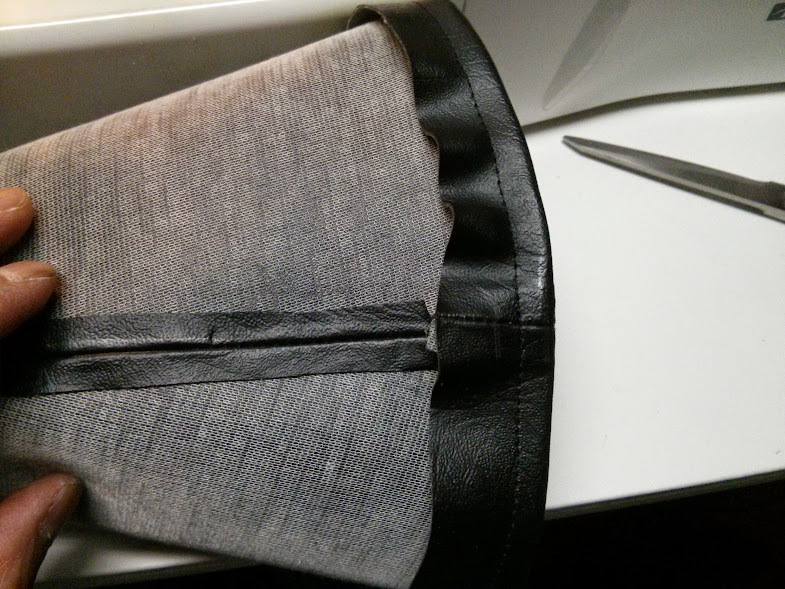 Fold the seam edges down and glue them flat. I used hot glue. This will give the gauntlet a better shape. 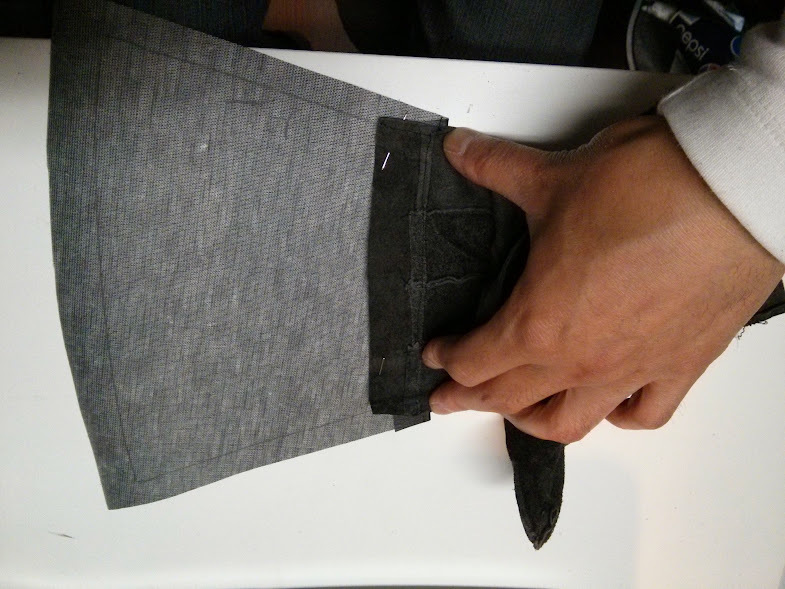 Fold the top cuff down and sew the final seam. 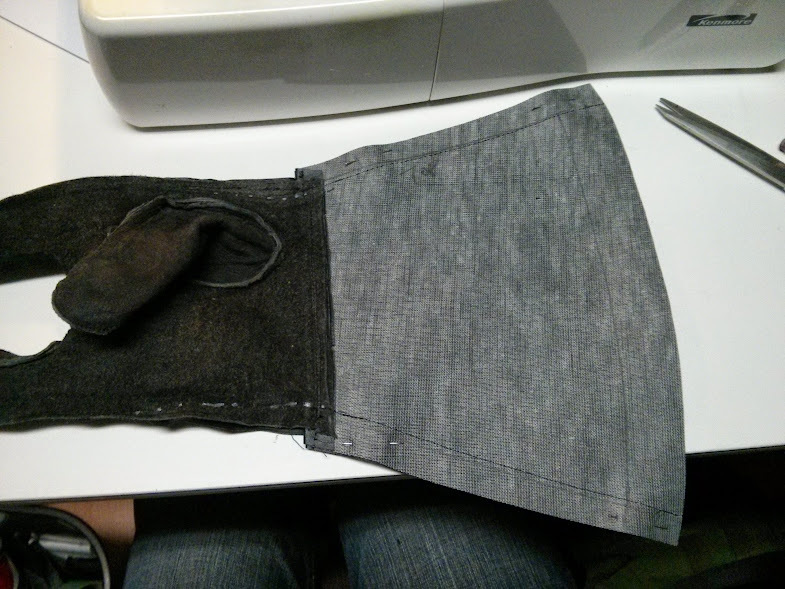 Repeat process for the other glove, and then flip the gloves right side out. You're done!